Episode 6 – Implementation Best Practices | Beyond Web Analytics! Join the Beyond Web Analytics team as we get a little more technical and talk implementation with Kevin Rogers of @VaBeachKevin fame. The conversation explores tips for planning an implementation, tools to test your implementation, and strategies for multi-site projects. Be sure to use the comment section below to ask specific questions or suggestions for future shows. The Beyond Web Analytics podcast team has explored Implementation best practices, but we would like to hear from you to find out not only any questions you may have or to share some thoughts on the podcast. 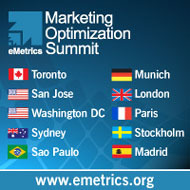 This article was posted in Podcasts, Web Analytics and tagged Implementation, Kevin Rogers, Omniture, SiteCatalyst. Bookmark the permalink. Follow comments with the RSS feed for this post.Post a Comment or leave a trackback: Trackback URL. i wish i could join you guy’s conversation, i have so much to share. Great podcast guys, I particularly loved Kevin’s tip on setting up a Google Alert on s_code updates. @Michael – Thanks for listening. Use the Ask The Podcast Or Contact form to drop us a note for a podcast idea and maybe we can have you join us sometime. @Nathan – Thanks for the comments. I’ll have to check out the tool. I can understand working with smaller teams and on many sites utilizing the URLs, html layout and other elements to infer values to report to web analytics is the quickest way to get an implementation up, but don’t you find that your implementation will just degrade from then on as the web team makes changes? utilizing page titles is vary problematic as soon as any SEO efforts are put in place. utilizing URL structures can also cause problems as the website changes over time. many sites use different products for different parts of their sites.